Our ambassadors have a desire to lead an active lifestyle, a passion for social media, and a love of Repsol Sport Centre. They are an energetic and enthusiastic group, all at different levels of fitness. 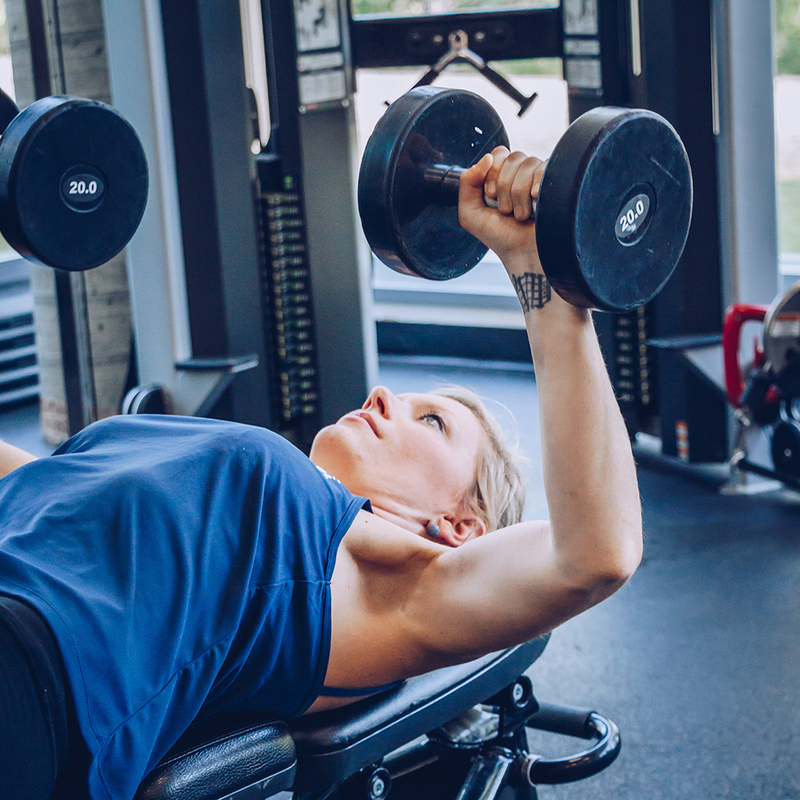 We are inspired by their dedication to fitness and our facility. Our ambassadors openly share their stories and what they like to do under the tent. We invite you to follow along for inspiration and entertainment. 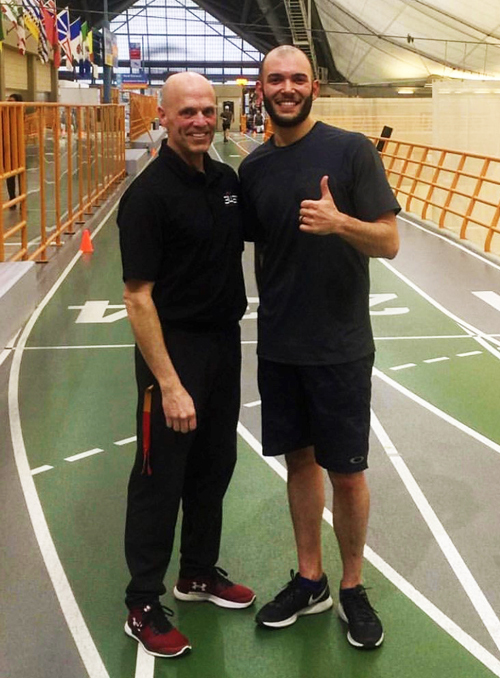 Having already lost over 60lbs with ThePUSH and training here at Repsol Sport Centre, Graham is going full tilt to reach a weight he hasn't seen since Junior High! Follow along as him and Kat work together to finally be as fit as the Dungeon and Dragons characters he plays as on the weekends. (they're super ripped, trust him).You can find him training on the track for his first crack at the Banff Jasper Relay, learning brand new skills at Muay Thai training on Thursdays, and stretching it out in Saturday morning Hot Yoga! 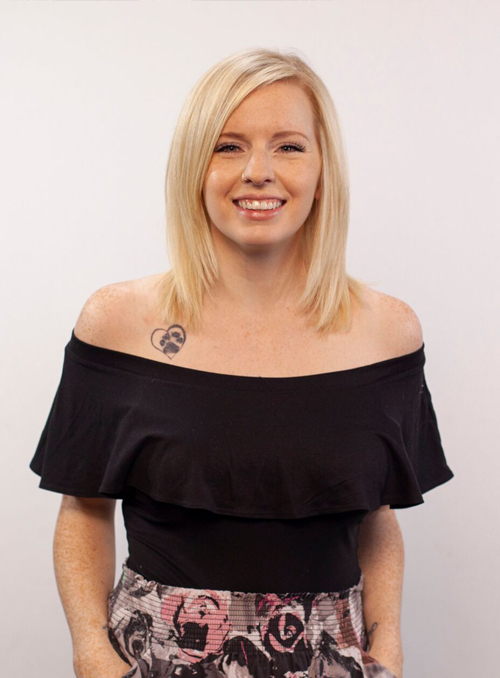 Hey it's Marc from X92.9 and I am pumped to be part of ThePUSH 2019!! My goals are simple. First, it’s NOT weight loss. It's weight shift. I'd like to take 10 from my stomach area and move it to my arms/chest area. Second is cardio. Still being able to skate in the third period at rec hockey would be great! Let’s get to work. Taylor Daniels here from 101.5 Today Radio and this is the third time I’ve done ThePUSH! And there’s a reason I keep coming back. Each year has brought new goals, new personal bests and new heights that I can take my training under the tent. In 2016, the Goal was to introduce a consistent training program to match what was a significant weight loss strictly through nutrition. The Goal in 2017 was to get “buff” for the wedding and really focus on increasing muscle and overall appearance. I’m excited for what Greg Cooke and I can do for 2019! Don’t they say good things always come in 3’s? 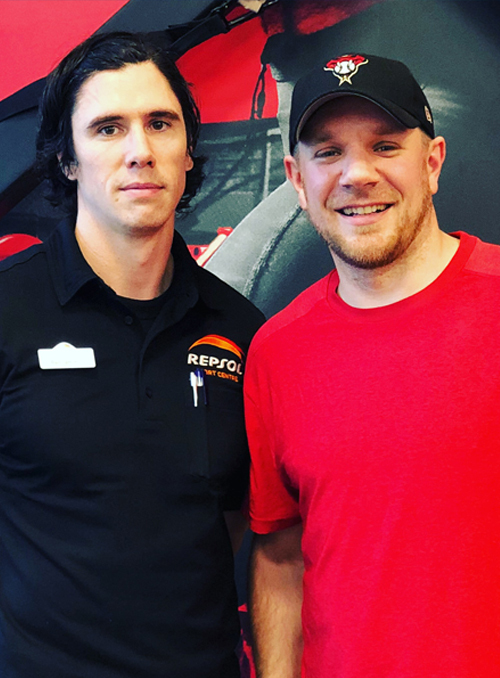 For 2019, I will be focusing on Rehabbing with Repsol after a shoulder injury this past summer. I also want to let Greg do what Greg does best. There will be a greater focus on interval training, cardio, conditioning and overall body work. This is the year that I will PUSH through every obstacle I’ve had in my way both physically, and mentally. I’m excited to be back for a third year doing ThePUSH – it’s the game changer of programs. 1. I'm the 'Katie' part of AMP Mornings With Katie & Ed on 90.3 AMP Radio here in Calgary. 2. I love snacks. Of all Kinds. Seriously... I'll eat anything & everything. 3. 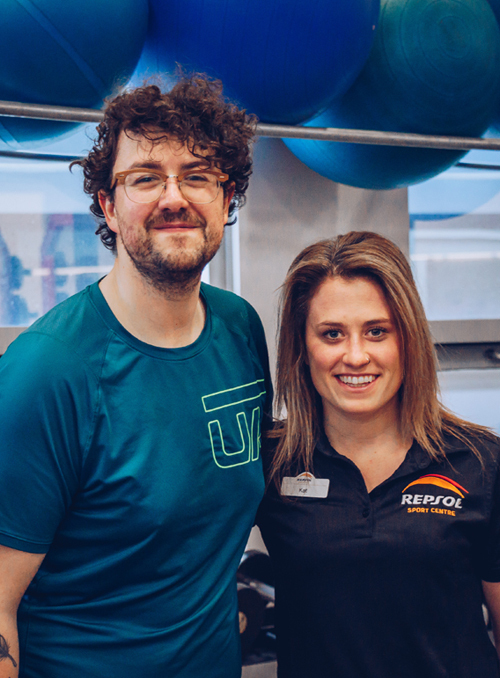 For the last year, I've been working really hard on my fitness & aiming to live a healthier lifestyle & Repsol Sport Centre made that so much more possible for me. In 2018, I set a goal to lose 10lbs and I DID IT!!! I was so excited that I decided In 2019, my goal would be to become stronger. I'm so excited for ThePUSH & to see where this next leg of my fitness journey takes me. Also, if you see me lounging in the hot tub... come say hi. Ash was incredible! I had a heli-skiing trip fast approaching and unfortunately had injured my knee 6 weeks before the trip. Concerned that I wouldn’t be able to go on the trip, I came to 3433SPC. Ash tailored a workout specifically to my needs. He gave me exercises to do that would strengthen my knee as fast as possible while making sure not to aggravate my injury in the process. Rather than 1 x 1 hour sessions, Ash suggested dividing the training in to two shorter sessions 2 x 30min to ensure we didn’t go too far and cause a flare up. This meant more time commitment from Ash yet he didn’t mind as he wanted to be sure my knee recovered. We had a six week window to work with as the heli-skiing date was fast approaching, yet by the time my heli-skiing trip arrived my knee felt like a million bucks. Thanks Ash!